It’s hard to believe that 3 months has come and gone so quickly! It seems like it was only a few weeks ago that we were planning and taking part in our pre-departure training. I have experienced and learned so much over the last 3 months, it is truly unreal. 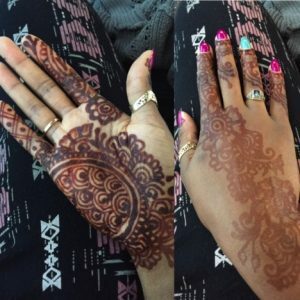 From academia, to the Tanzanian culture and finally about myself, this experience has provided so much personal and professional growth. My placement at Muhimbili University of Health and Allied Sciences (MUHAS) was an unforgettable experience. I had the opportunity to work closely with some wonderful, experienced researchers, faculty, nurse-midwives and students. At MUHAS, I was able to collaborate and make significant contributions with current research on maternal health in Dar es Salaam. I was busy assisting the team in manuscript writing with literature searches, scholarly writing and document review. 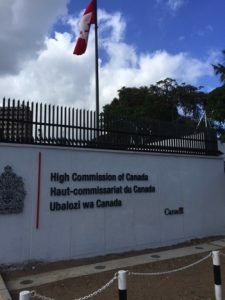 In addition to working on research with the dynamic team of professionals from Dar es Salaam and Halifax, I was able to gather a substantial amount of information for my course requirement, as part of my policy practicum. 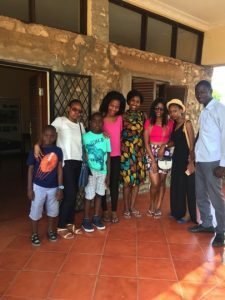 After gaining my bearings in Dar es Salaam in terms of language, culture and navigation, I was able to really accelerate my learning objectives. For example, I established great connections with various healthcare workers at the Muhimbili National Hospital (MNH), I ventured to UNICEF Tanzania, the Tanzania Midwives Association (TAMA), White Ribbon Alliance (WRA), the Canadian Embassy and the Tanzania Food and Nutrition Centre (TFNC), where I was able to connect with key players involved in maternal and newborn health and wellbeing. 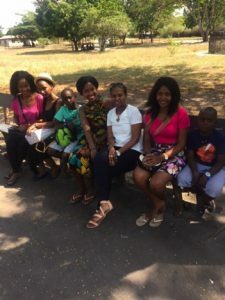 I have learned a great deal about myself as well as enhancing my knowledge and skills in the areas of maternal and newborn health, research, health policy and scholarship. I do not doubt that this experience will benefit me greatly in my future endeavors. This has been a truly rewarding experience. The rich academic and cultural experiences have enhanced my personal and professional perspectives. Once again, I would like to express a sincere thank you to everyone who has made this experience both possible and truly rewarding. 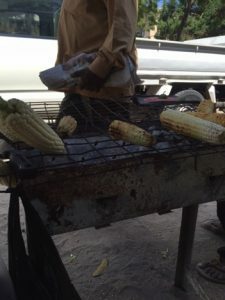 Roasted corn. One of the popular local snacks. I am grateful that I was awarded the Queen Elizabeth Diamond Jubilee Scholarship to pursue this experience and learn so much! 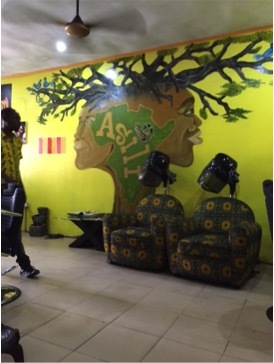 Asante sana (thank you very much) to the GHO (Dal), the School of Nursing (Dal) and the QES foundation. I look forward to returning to Tanzania to continue my studies in hopes to make a contribution to maternal and newborn health. 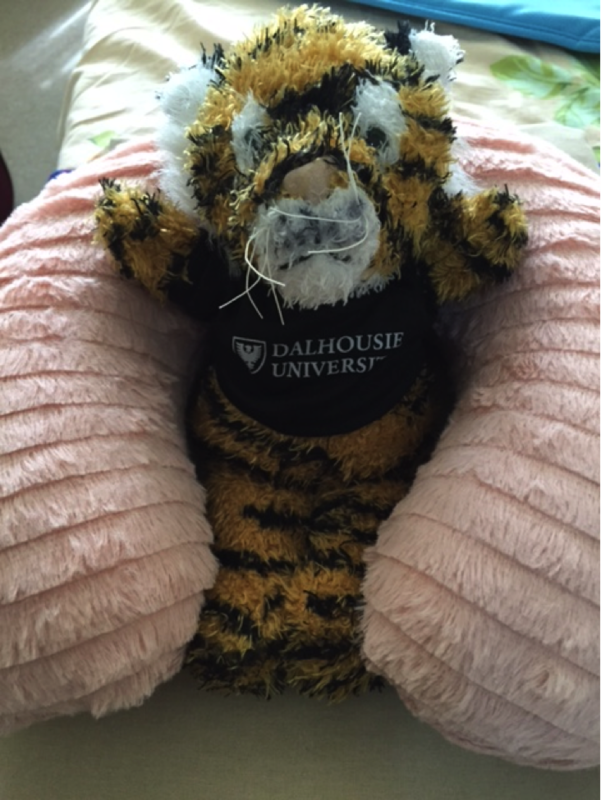 The Dalhousie Tiger that was given to each QES scholar at pre-departure, all set to travel home. The Canadian Embassy in Dar es Salaam. Met some great people here. 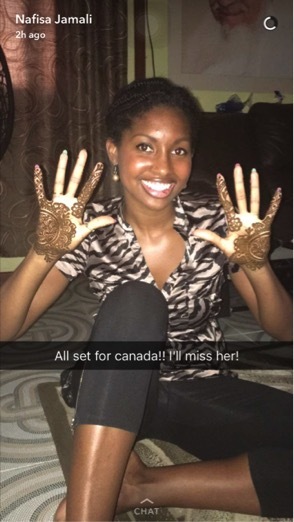 Snapchat of my henna session at my friend’s house.